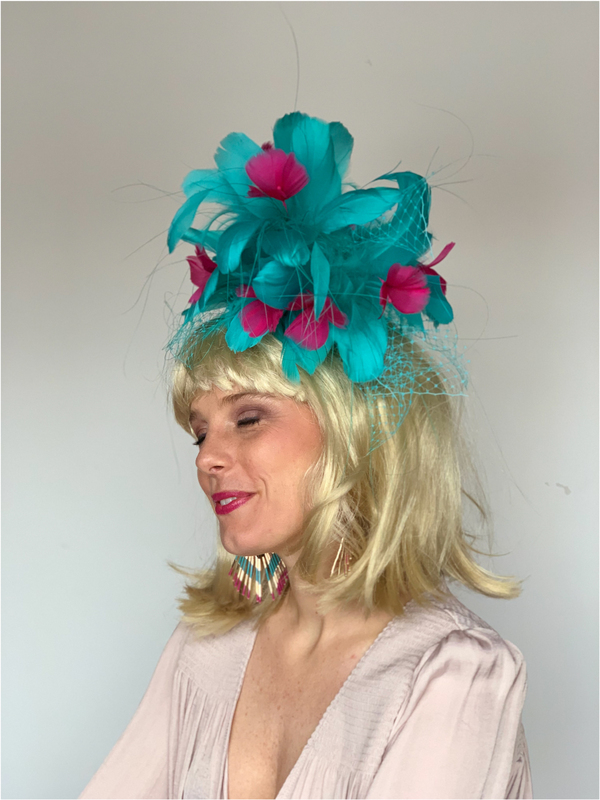 I designed this Fascinator to intelligently feature Jade Rooster Feathers, Veiling, Stripped Coque Feathers, and Magenta Feather flowers on a 4” sinimay base. 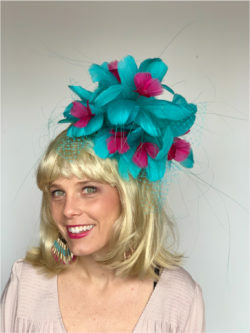 You have the flexibility to attach this hat with either your choice of a comb or headband. 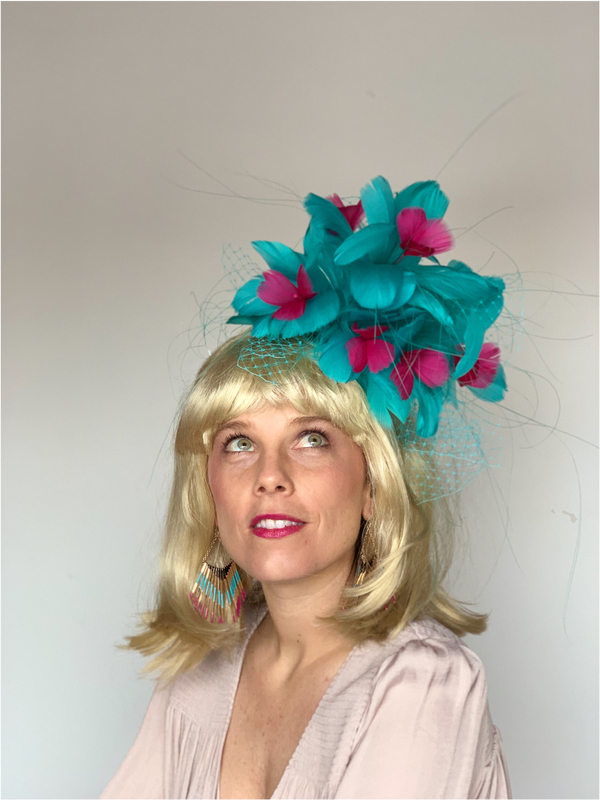 The idea behind the design of the fascinator is that it can either be worn as the perfect finishing piece to your Oak’s outfit, or even as the starting inspiration! While designed with the Kentucky Oaks in mind, this fascinator would surely work for other occasions. We ship our Fascinators & Hats almost anywhere in the world using a very secured packaging method to ensure you receive a flawless product. Attached w/ comb or headband.